Flowers in spring! 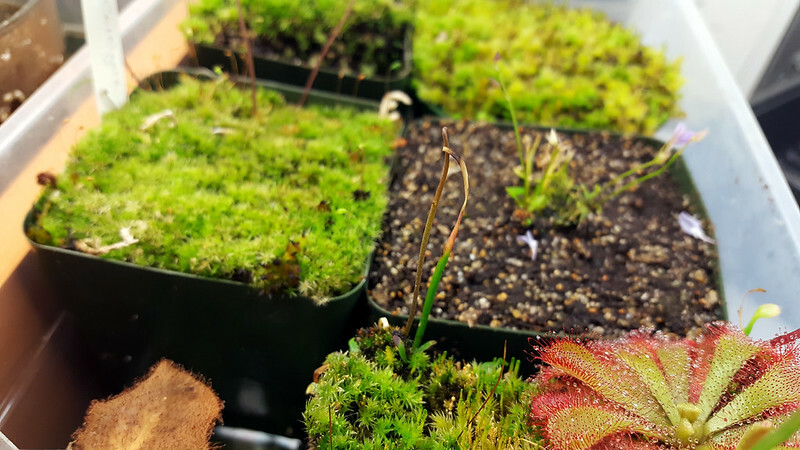 |Sundews Etc. I've come to appreciate the effect of seasons on my growing environment more lately. I used to think that the fact that I grow under lights in my garage meant that my plants didn't really experience seasonality, considering the fairly stable temperatures and light quality. However, I'm starting to see that, for example, there is a distinct uptick in flowering into the spring. Let's look at it! 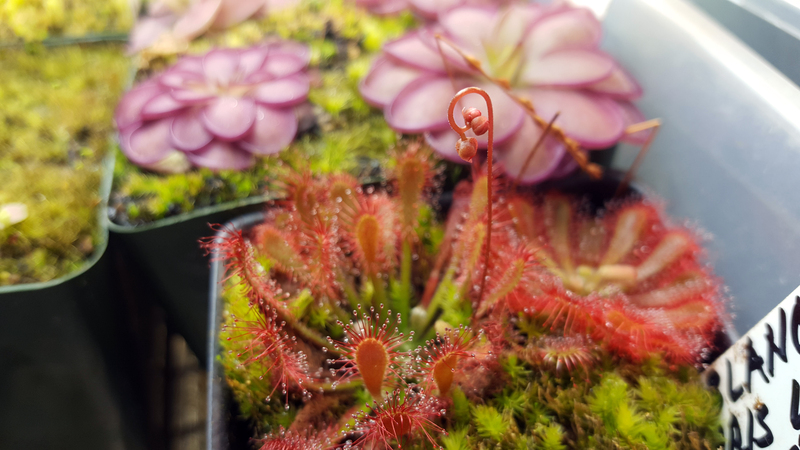 My Drosera felix is putting up a second flower stalk. Look at the little fuzzles. This plant has a special place in my heart. It's small and unassuming, but it's just such a trooper, and there's something so adorable about it. I've gotten some seed from the first stalk too! 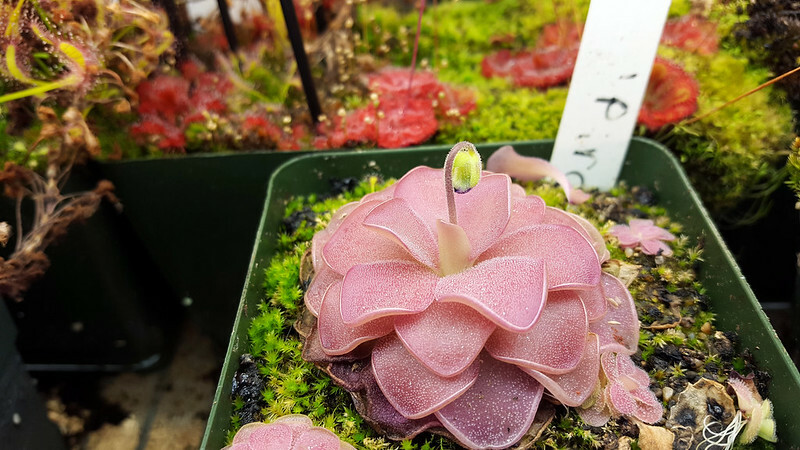 Pinguicula 'Pirouette' is blooming for the first time. This is such an elegant plant. I love ping flowers. This one looks so demure as it's getting ready to bloom. 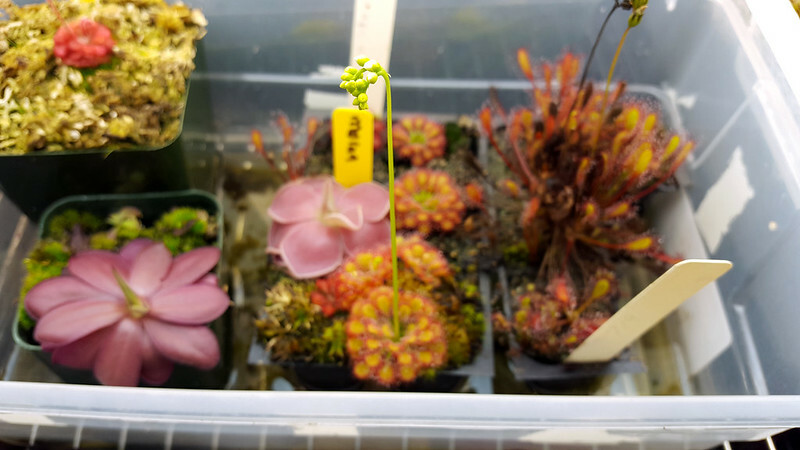 I've also gotten my first flower on Drosera mannii. Don't mind all the Utricularia bisquamata. It looks like I've missed the first couple blooms, but I'll have to keep an eye out for it because apparently D. mannii has blooms bigger than the plants themselves. Got a Drosera oblanceolata flower stalk! I like how smooth the flower stalk is. That's not super common in Drosera. I got this plant in winter, but I think the warmer temperatures are benefiting it a lot. It's looking better than it has since I got it. Nice plant! 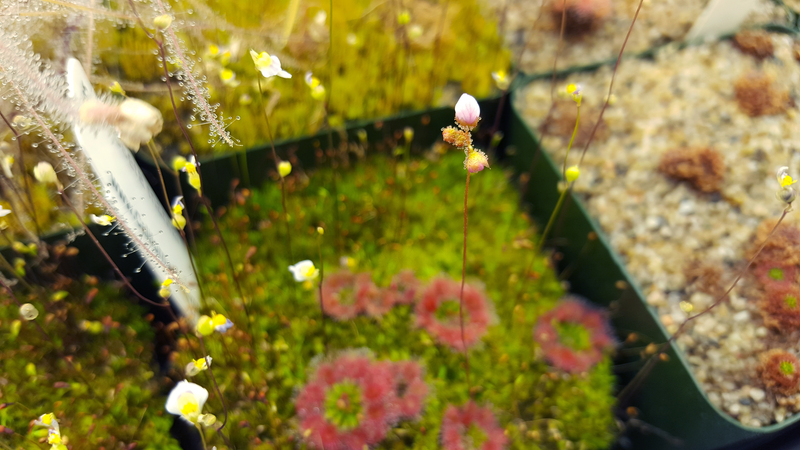 Drosera collinsiae is starting to bloom again. Finally we've got dew on this guy. I'm almost tempted to trim the flower stalk, since this is the best the plant has looked in months and I don't want it to decline. However, I really want seed, so I think I'll let it go. The last flower stalk aborted. New flower stalk on Drosera 'Emerald's Envy'! The plant this stalk is coming from is just doing great. This particular plant has never flowered before, and it looks like a good one. Gonna get some good seed off this one. 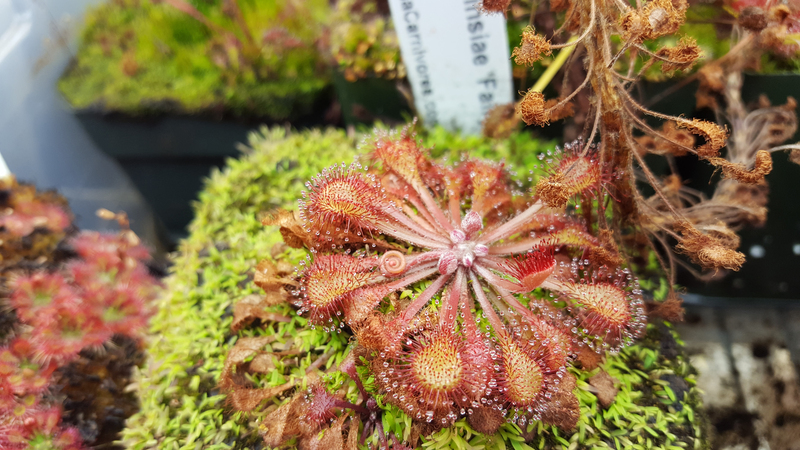 Drosera aliciae is trying to flower again. Come on D. aliciae, we believe in you. This plant really struggles. It's aborted the last 3 or 4 flower stalks it's attempted. I can't say why. Here's hoping this one takes. Now comes to the bit of the post where I do some real bragging. 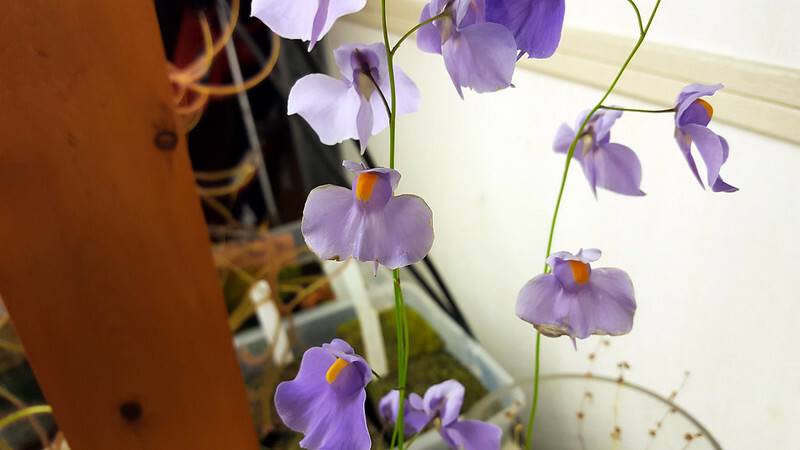 First up, look at this Utricularia longifolia. You see that flower in the center of the photo? That flower opened on February 27th. We're closing in on two months for that one flower. There are 14 flowers open on this plant now, and it'll probably be in bloom for at least another couple months. There are a lot of plants I love, but U. longifolia is one I actually admire. It's just an exquisite plant. See that brown growth there? That's a flower stalk. A flower stalk on Utricularia praelonga. This plant is known for rarely flowering in cultivation, and no one really knows why. Go ahead and do an image search, there are very few photos of it. I am so stoked on this. 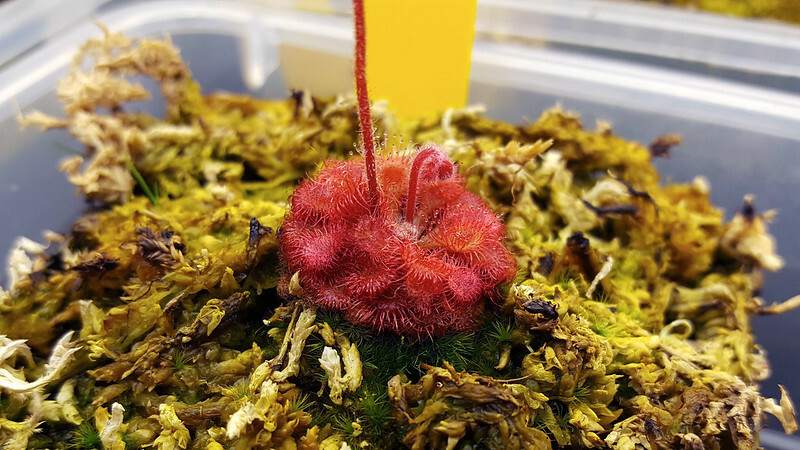 This is the most exciting thing since my winter-growing sundews woke up. More photos to come! What's your secret on growing the U. Longifolia??? I've had mine over a year and no blooms yet. You know, I was sure I'd had a Plant Profile of U. longifolia, but I don't! I'll do that in my next post. Keep an eye out for it. Well I know the basics but thought you may have your own way to add to it. I'll keep and eye out for your next post as usual! Thanks! It's definitely a new stalk. It's been growing in the last few weeks. That's really cool! In that case I can't wait to see the flowers. 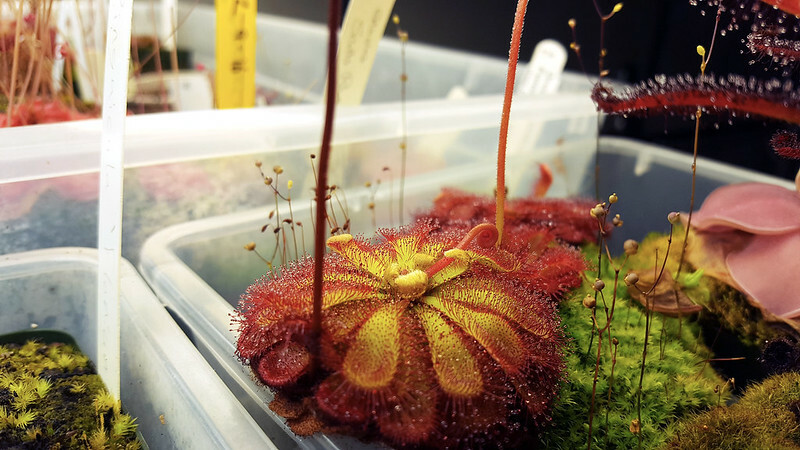 If you are willing to sell or trade some drosera felix seeds, PLEASE let me know!